As part of our activities towards our environmental goals, the Medway River Salmon Association has made particular efforts to work closely with our local youth. It is, after all, with them that our future lies. Some of what we do can be read about on our Fish Friends page as well as through various press clippings on our In The News page. 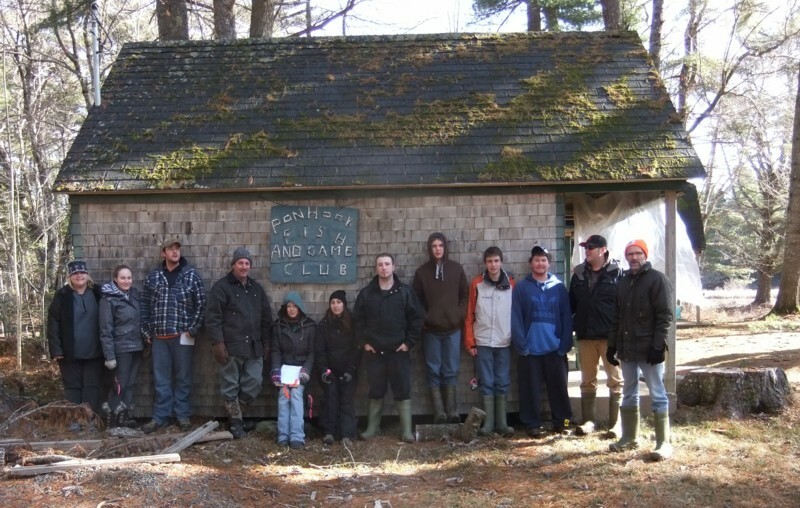 The pictures below reflect some activities with the Nova Scotia Community College students and faculty. Back in the fall of 2011 a student at NSCC, who is the daughter of one of our members, was engaged in a class discussion about student involvement in environmental initiatives. Each student was expected to make a presentation to the class about what they were doing in that regard. One thing led to another, ending up with the class going to McGowan Lake to help MRSA "clip" fish. They subsequently became involved in a project of ours which will "GPS" plot Medway River salmon pools. Discussions at that time took place with the class instructor and MRSA about how we can continue to work together on future activities which will benefit both them and the MRSA. We see this as a win-win for all concerned and welcome the continuing college involvement. 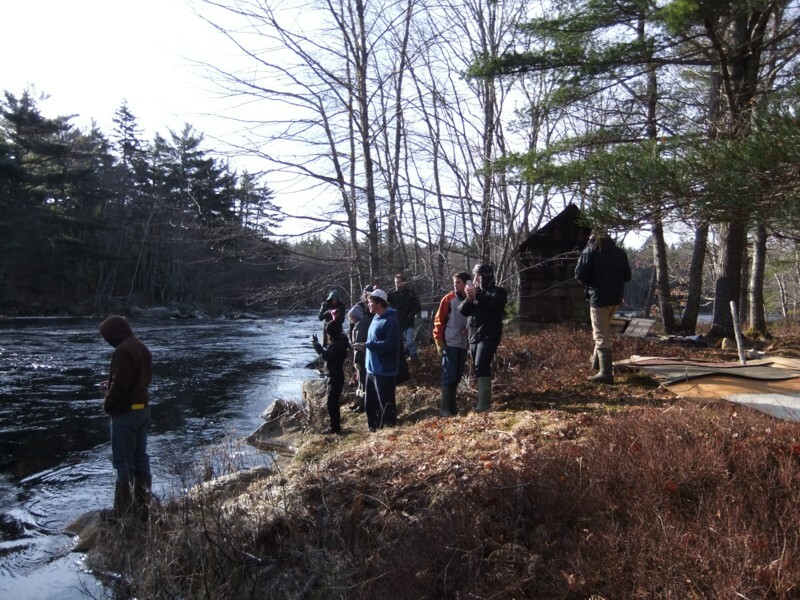 It was a cold day in February, 2012, when the Nova Scotia Community College, Natural Resources Environmental Technology 2nd year class met with the Medway River Salmon Association (MRSA) to GPS the salmon pools along the Medway River. Students, Course Instructor and Association members traversed the river bank from Mill Village through to Bangs Falls locating known pools. A map indicating the salmon pools will be created using the coordinates collected. This is the second project Medway River Salmon Association and the NSCC Envirmental Technology students have teamed together on. 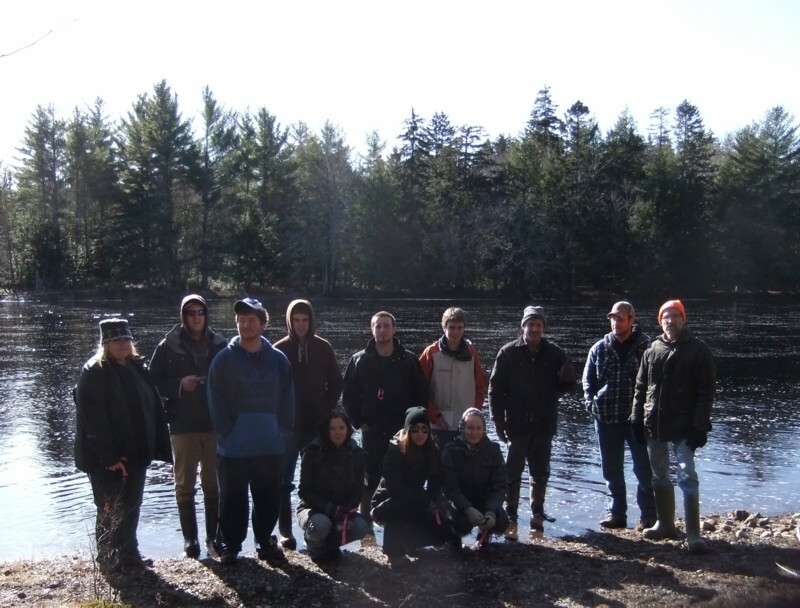 In the fall of 2011 the students worked together with MRSA members at McGowan’s Lake Fish Hatchery to ‘clip’ fish. This is a process in which the adipose fin of each fish is clipped. The purpose for this is to enable tracking of the fish stock. It was evident that the students enjoyed both opportunities to work with MRSA. As stewards of the Medway River MRSA is happy to contribute in fostering the involvement and enthusiasm of the NSCC students. We look forward to the future!